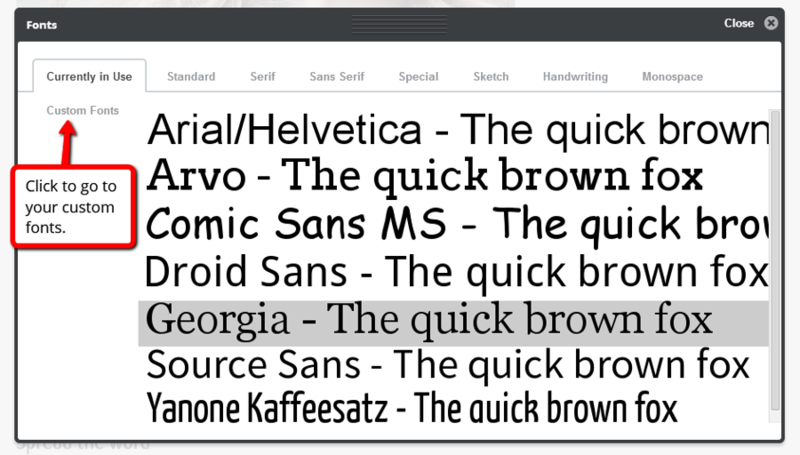 PagePicnic comes with a set of default fonts that are ready to use and can be selected in the fonts list. 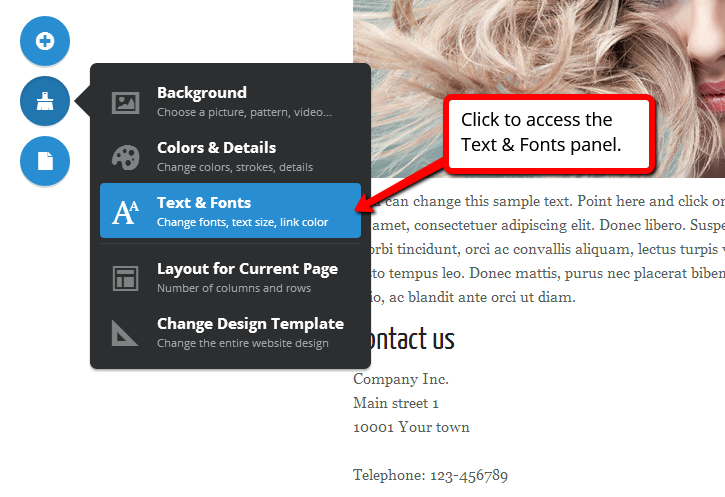 However, if you want to add new fonts to your palette, that can be done by uploading your fonts. In this guide we will show you how to add new typefaces to PagePicnic. 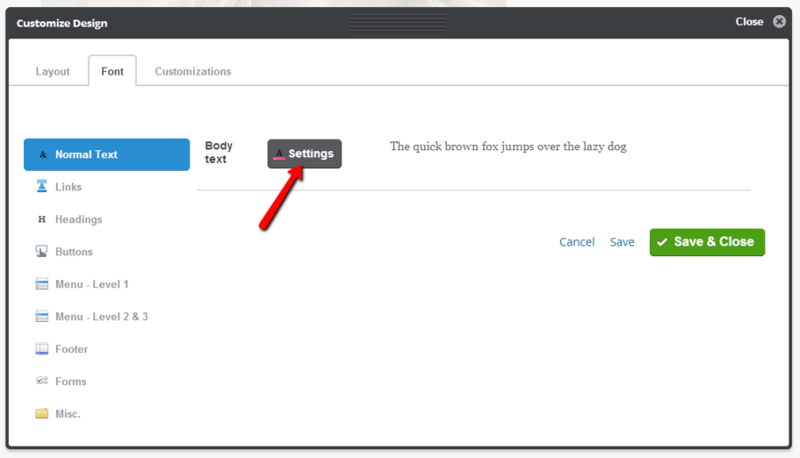 All default fonts are tested and will work fine on PagePicnic. Uploaded fonts should also work fine, but we do not guarantee that they all will and cannot take responsibility if any errors should occur. Make sure that you own the rights to use fonts that you upload yourself. While some fonts are free to download and use, many typefaces come with copyright restrictions. 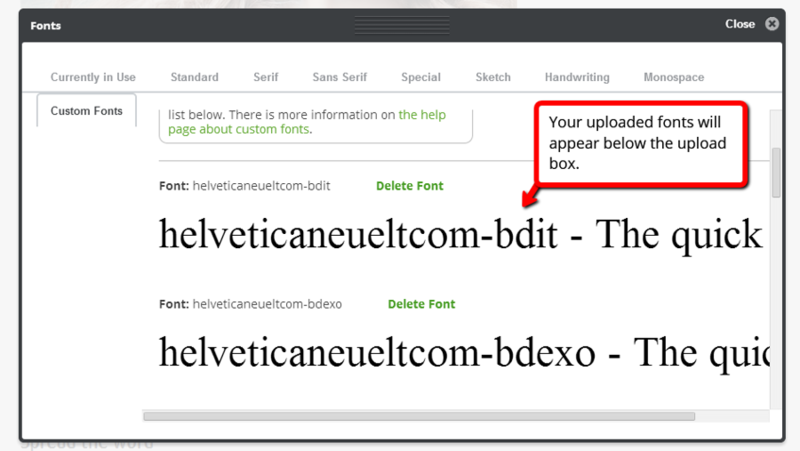 To upload a font, click the Select a font ZIP button. 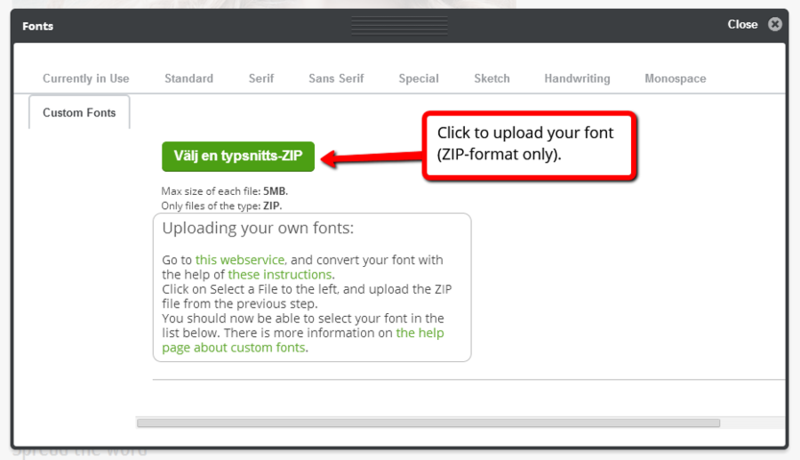 If your font is not in ZIP-file format, you can use a free service - such as http://www.fontsquirrel.com - to convert your type.